SMALL TOWN LIVING in TRENDY Community of McKenzie Towne. Clean & Well Maintained ONE Bedroom. Beautiful Dark Hardwood looking Laminate, Knockdown Ceilings & Updated Lighting. 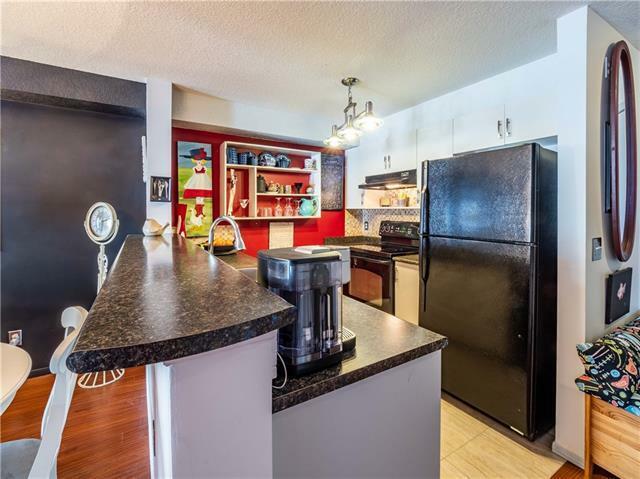 Open Kitchen w/Breakfast Bar, Black Appliances, HUGE Pantry (unusual for apartments), Travertine Back-splash & Ample Cupboard Space. Beautiful Stone-faced Fireplace in Over sized Living & Dining Room. 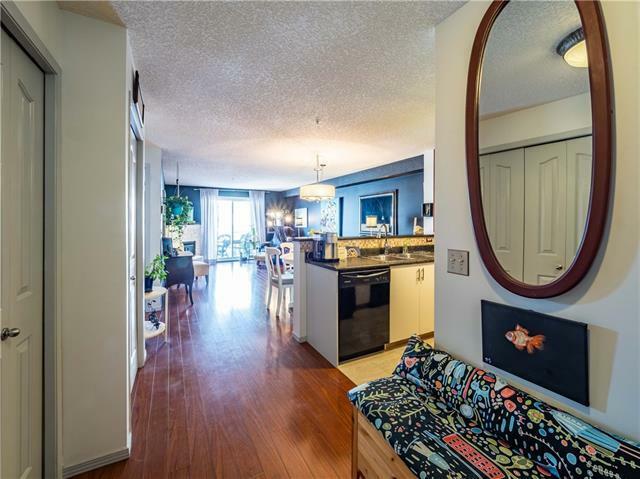 Very PRIVATE Balcony w/Large Beautiful Tree, even room for small patio set & BBQ (w/gas line). HUGE Master Bedroom accommodates a King Sized Bed. 4 Piece Bathroom w/Deep Soaker Tub, Upgraded sink & toilet. Appreciate the Convenience of In-suite Laundry. Secure, Heated & Titled Underground Parking. Lots of Visitor & Street Parking. 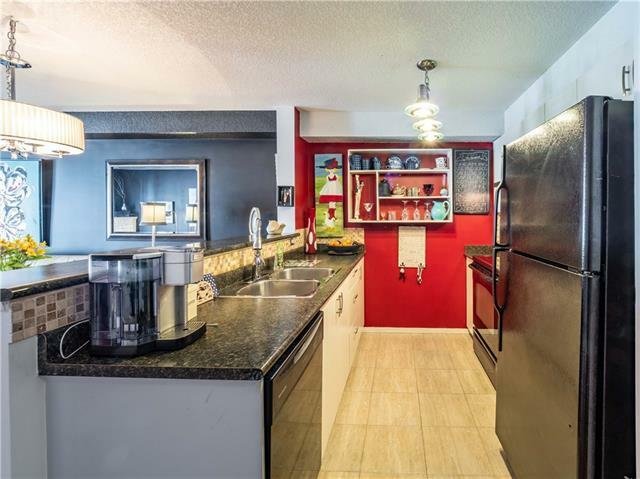 STEPS away from ALL AMENITIES: Grocery, Banks, Restaurants, Coffee Shops, Parks & Much More. Calgary Transit only steps away including the plan for a new C-train line a few blocks away. 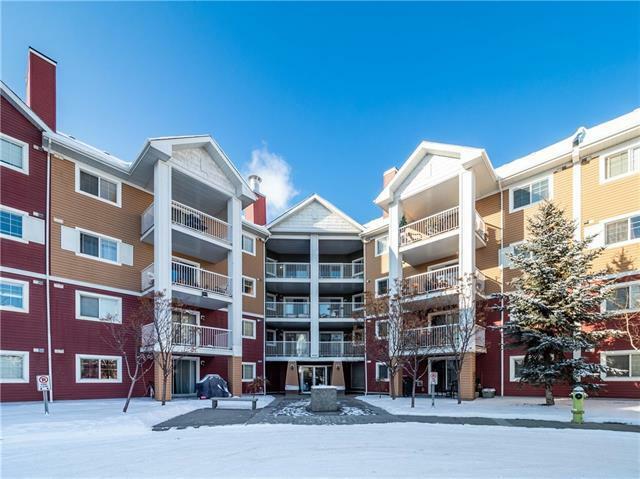 Mins from South Campus Hospital, easy access to Stoney, 22x, 52nd Street & Deerfoot.